We often get asked, "How can I keep my apples from turning brown?" Well, Howard's got a few tips for you to keep your apples nice and fresh, even when they're sliced. 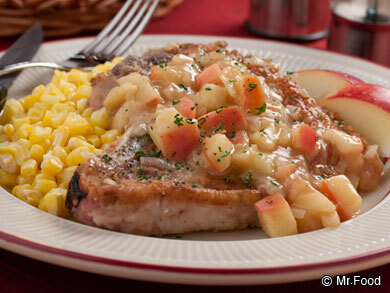 Brown apples will turn mushy, and they will quickly ruin any recipe you try to use them in. We have a few tips for you on how to keep apples from turning brown, plus, some pointers on how to store apples so they stay nice and crisp. 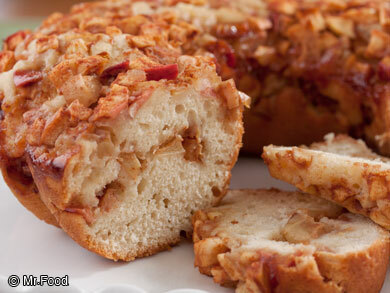 And, as an added bonus, we've even included a few recipes for apples that you can make with what you've learned! Check out our video and tips on how to keep apples from turning brown. 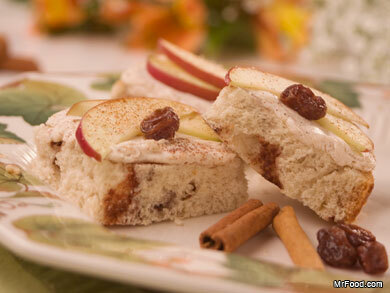 Once you lean how easy it is, you'll see how much fun it is to make your favorite apple recipes! 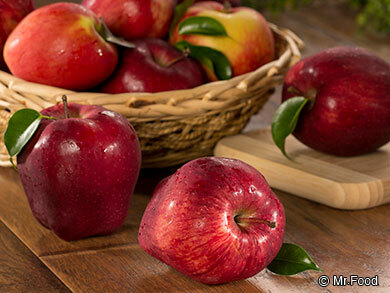 Apples turn brown because the apple meat reacts with the air in a process called oxidation. It's best to cut your apples only when you're ready to use them, but there are a few tricks to keeping your apples nice and fresh-looking for those times when you have to cut them in advance. Method #1: Place your apples in a bowl with a water and citric acid mixture. Citric acid lives in fruits such as lemon, lime, or orange, but you can also use bottled citrus juices. The apples should be submerged in a mixture with a ratio of 1 cup of water to 1 tablespoon of citric acid. Method #2: If you don't have any citrus on hand, you can also use lemon-lime soda. The acidity in the lemon-lime soda works the same way real fruit or bottle fruit juice would. Method #3: Use Fruit Fresh. Fruit Fresh is a powdered product that looks like sugar. There are many different brands, so you'll want to read the label to figure out the ration of Fruit Fresh to water. These methods won't get rid of the brown on an already oxidized apple, but they will help keep your apples fresh longer. If your apples have already turned brown, just trim the brown off using your knife, and proceed with one of the methods above. To keep your apples fresh for as long as possible, you need to know how to store 'em. Storing apples properly isn't difficult, as long as you know a few tricks of the trade. Storage Tip #1: Don't store fruits and vegetables together. Fruits ripen much quicker than vegetables do, so when you store them together, the gas (ethylene) the fruits give off will start to ripen the vegetables. Apples, specifically, produce large amounts of ethylene, and the buildup will cause everything in its path to spoil quickly, including the apples themselves. Storage Tip #2: Store apples in a cool, damp environment. Apples will keep for much longer if you store them in your refrigerator's crisper. You want to store apples between 30-35 degrees F. Place a damp paper towel on top of the apples in your crisper for best results. Storage Tip #3: One bad apple will ruin the bunch. You've heard the expression, and it's true! Remove apples with bruises or that look over ripe from the bunch since they will spoil the other apples they're near (see number Storage Tip #1). Now that you know how to store apples, learn how to peel an apple and how to core an apple from Howard, plus, check out a few more easy apple recipes below! With your new skills, you'll want to put apples in everything. Well, you're in luck! 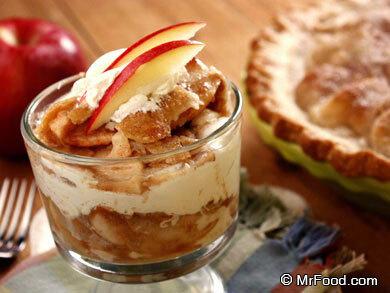 Try any one of these other 34 Easy Apple Recipes tonight!